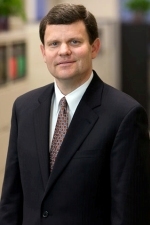 Ross Cooper is President and Chief Investment Officer of Kimco Realty Corporation. In this role, Mr. Cooper works closely with Kimco’s Investment Committee, risk team, and regional leadership in overseeing the development and implementation of Kimco’s acquisition and disposition strategy. Mr. Cooper joined Kimco in 2006, and prior to his current role served as an Executive Vice President of the company and as Vice President of Acquisitions, Dispositions and Asset Management in Kimco’s Southern Region. Mr. Cooper holds a B.S. degree from the University of Michigan, and a Master’s degree in Real Estate from New York University. 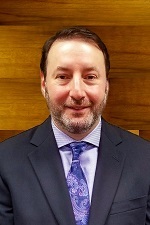 Glenn G. Cohen was appointed Executive Vice President, Chief Financial Officer of the Company in June 2010, and continues as Treasurer, a position he has held since 1997. Mr. Cohen directs the Company’s financial and capital strategy and oversees the day-to-day accounting, financial reporting and planning, tax, treasury and capital market activities. 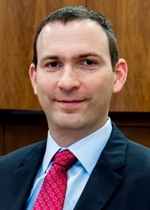 In addition, Mr. Cohen oversees the Information Technology group for the Company. Mr. Cohen is also a Director for Quality Care Properties, Inc. (NYSE: QCP) and a member of its Audit Committee. Prior to joining Kimco in 1995 as Director of Accounting and Taxation, Mr. Cohen served as Chief Operating Officer and Chief Financial Officer for U.S. Balloon Manufacturing Company, Chief Financial Officer for EMCO Sales and Service, L.P. and spent six years at the public accounting firm Coopers & Lybrand, LLP (predecessor to PWC LLP), where he served as a manager in the audit group. Mr. Cohen is a native Long Islander, received a B.S. degree in accounting from the State University of New York at Albany in 1985 and is a Certified Public Accountant. Mr. Cohen is a member of National Association of Real Estate Investment Trusts (NAREIT), International Council of Shopping Centers (ICSC), New York State Society of Certified Public Accountants (NYSSCPA) and the American Institute of CPAs (AICPA). David Jamieson is Chief Operating Officer of Kimco Realty Corporation. Mr. Jamieson joined Kimco in 2007, and most recently served as Executive Vice President of Asset Management and Operations, where his role has been to develop and execute Kimco’s long-term asset management strategy at a national level. Working closely with regional leadership, he is responsible for day to day operations with a focus on identifying and implementing opportunistic value creation strategies that optimize the company’s portfolio performance, most notably by leading Kimco’s regional teams and their redevelopment and selective ground-up development efforts. Mr. Jamieson has also previously served as Vice President of Asset Management and Leasing for Kimco’s Western Region, and as Director of Real Estate for the Western Region. Prior to joining Kimco, Mr. Jamieson was a redevelopment specialist for an urban fund on the east coast. Mr. Jamieson received a B.S. degree from Boston College, and an M.B.A. from Babson College. He is a member of the International Council of Shopping Centers (ICSC) and an accredited LEED AP. Bruce Rubenstein joined Kimco Realty Corporation in March 1998 as a senior attorney, and currently serves as Executive Vice President, General Counsel and Secretary. Mr. Rubenstein is responsible for overseeing and managing Kimco’s legal affairs, its in-house legal department and outside counsel. Prior to joining Kimco, Mr. Rubenstein served as General Counsel to AVR Realty Company, a diverse real estate company based in Yonkers, New York. He also practiced law at the law firms of Weinberg and Green in Baltimore, Maryland, Delson and Gordon and at Robinson, Silverman, Pearce, Aronsohn and Berman, both in New York City. Mr. Rubenstein graduated from Johns Hopkins University in 1978 with a degree in Political Science. He received his J.D. from Boston University School of Law along with a Master's degree in City and Regional Planning from Harvard University’s John F. Kennedy school of Government, both in 1982. Mr. Rubenstein received an M.B.A. from New York University’s Stern School of Business in 1998. Raymond Edwards joined Kimco Realty Corporation in 2001 and is currently Executive Vice President, Retailer Services. In that role Mr. Edwards focuses on strengthening Kimco’s relationship with its national retailers. He is also involved, with the Executive Chairman, in developing opportunities directly with real estate rich retailers by making investments, lending and providing strategic real estate solutions. Transactions include the Montgomery Ward designation rights to over 300 stores; conversion of Frank’s Nurseries from retail operation to a stand-alone real estate company; participation as part of the consortium that acquired the 650-store Albertson’s grocery chain in 2006, and in 2013, the 850-store Shaw’s, Acme, Jewel banners along with the balance of the Albertson stores not previously controlled. In 2015, Albertsons merged with Safeway to create the second largest grocery chain in the country with over 2,300 stores. Mr. Edwards is a member of the International Council of Shopping Centers (ICSC) and New York State Bar, having received his J.D. from The Law School at St. John’s University. 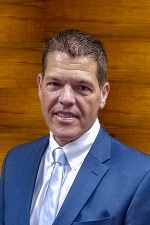 David F. Bujnicki, Senior Vice President of Investor Relations and Strategy for Kimco Realty Corporation, joined the Company in 2003 as Manager of Accounting and Reporting, and served as Director of Corporate Finance, Planning, and Analysis. Most recently, he was Vice President of Investor Relations and Corporate Communications. Prior to joining Kimco, Mr. Bujnicki spent four years at KPMG, LLP, and five years at Suffolk County National Bank, working in the commercial loan and audit departments. Mr. Bujnicki holds a B.A. in Finance and Economics from The Catholic University of America in Washington, D.C. and a Master's degree in Accounting from Hofstra University in Hempstead, New York. He is a member of National Association of Real Estate Investment Trusts (NAREIT), International Council of Shopping Centers (ICSC) and National Investor Relations Institute (NIRI). James J. Bruin is Senior Vice President, Portfolio and Risk Management at Kimco Realty Corporation. In this role, Mr. Bruin oversees the Company’s institutional joint venture program, responsible for partner and lender relationship management. Mr. Bruin also leads Kimco’s underwriting function, conducting risk assessments and due diligence on all property acquisitions for the Company. Prior to joining Kimco in 2008 as Director of Portfolio Management, he spent 13 years at GE Capital Real Estate as a Portfolio Manager specializing in joint ventures, troubled debt restructures, and debt and equity real estate across multi-family, retail and medical office products. Mr. Bruin holds a Bachelor’s degree in Economics from the University of Pennsylvania, and is a Certified Public Accountant. 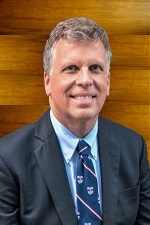 Tom Taddeo, Senior Vice President and Chief Information Officer, directs the Company’s overall technology vision and strategy, and oversees the systems and infrastructure which support Kimco’s global business operations. Mr. Taddeo directs the implementation of transformational digital solutions that improve organizational efficiency, productivity and collaboration. His role also includes exploring and applying concepts such as machine learning, artificial intelligence and smart building technology to drive further innovation both in the Company’s business systems and at its real estate assets. Before joining Kimco, Mr. Taddeo was a Senior Manager at Deloitte in their Real Estate Consulting Practice. Mr. Taddeo holds a B.S. in Business Administration from Southern New Hampshire University. He is a member of the InfraGard NYC Metro Alliance, the International Council of Shopping Centers (ICSC), as well as the Realcomm Advisory Council, and served as co-chair of Realcomm’s National Conference in 2016. Geoffrey Glazer, Senior Vice President of National Development, joined Kimco Realty in 2004. Mr. Glazer is responsible for overseeing Kimco’s pipeline of ground-up development, redevelopment and the overall project management and quality control of construction activity across Kimco’s regions. Mr. Glazer has over 35 years’ combined experience in real estate development, construction and architecture. Previously, Mr. Glazer served as Vice President of Development/Construction for the Mid-Atlantic Region and Northeast Region. In this role, Mr. Glazer was involved in projects that included 10 million square feet of retail and mixed-use product with an overall project cost of $1 billion. Prior to joining Kimco, Mr. Glazer was a partner at a mid-sized architectural firm focused on retail, multi-family, preservation, and public work, and has over 20 years of experience in the architectural industry. Mr. Glazer holds a Bachelor of Architecture degree from the University of Cincinnati and has taught at Columbia University and University of Maryland at College Park in their respective Real Estate Master’s Programs. Paul D. Puma joined Kimco Realty in February 2005 and currently serves as President of the Southern Region. Mr. Puma oversees a combined portfolio of over 100 shopping centers comprising over 20 million square feet of space. In this capacity, Mr. Puma is responsible for developing and executing a comprehensive strategic plan for the region’s portfolio, including leasing, property management, NOI growth, redevelopment, acquisitions and dispositions. Mr. Puma has over 30 years of shopping center experience and prior to joining Kimco, served as Vice President of Peripheral Development for The Mills Corporation and Sales/Leasing Director for The Rouse Company. Mr. Puma received a B.S. degree from West Chester State University in 1978. Wilbur “Tom” Simmons has been the President of Kimco’s Mid-Atlantic Region since 2004. Mr. Simmons is responsible for overseeing asset management, leasing, property management, acquisitions and dispositions, development and redevelopment in the Mid-Atlantic Region, comprising over 10 million square feet of space in almost 100 properties. Prior to joining Kimco, Mr. Simmons was Vice President of Acquisitions and Development with Mid-Atlantic Realty Trust, where he was employed for over 12 years. Mr. Simmons holds a B.A. degree from Gettysburg College and an M.S. in Real Estate from The Johns Hopkins University. Carmen Decker joined Kimco Realty in 2011 and currently serves as President of the Western Region. Ms. Decker oversees over 100 shopping centers in the Northwest and Southwest portfolios, consisting of over 20 million square feet. In this capacity, Ms. Decker is responsible for strategic planning, acquisitions, asset management, dispositions, leasing, property management and redevelopment. Ms. Decker has over 15 years of shopping center experience. Prior to her current position, Ms. Decker was the Vice President of Leasing and Asset Management for Kimco’s Pacific Northwest Sub-Region. Ms. Decker holds a B.A. degree from the University of Washington. She is a licensed real estate broker in Washington and a member of the International Council of Shopping Centers (ICSC). Joshua Weinkranz joined Kimco Realty in 1998 and currently serves as President of the Northern Region. Mr. Weinkranz oversees a portfolio of over 100 properties consisting of about 15 million square feet. In this position, Mr. Weinkranz is primarily responsible for the development and execution of a comprehensive strategic plan for the region’s portfolio, including asset management, leasing, property management, redevelopment, acquisitions and dispositions. Mr. Weinkranz has over 20 years of shopping center experience. Prior to his current position, he served as the Vice President of Leasing for Kimco’s Northeast Region and as Director of Real Estate for Rosen Associates Management Corporation. Mr. Weinkranz received a B.S. and a B.A. degree from Boston University, and holds an M.S. in Real Estate from New York University. He is a licensed real estate broker in New York, New Jersey, Connecticut, and Massachusetts. Chris Freeman, Senior Vice President of Property Management, is responsible for developing and implementing national programs, and for standardizing the operational policies, procedures, and best practices for Kimco's field operations team. Mr. Freeman also oversees the physical and financial planning process for maintaining and upgrading Kimco's national portfolio of properties. Mr. Freeman joined Kimco in 2001 as a Property Manager and has held various leadership roles including Regional Director. Prior to joining Kimco, Mr. Freeman worked in field and corporate operations for Benderson Development and Advanced Facilities Services in Buffalo, NY. Mr. Freeman holds a B.S. degree in Business Administration from Buffalo State College and is a member of the International Council of Shopping Centers. Leah Landro, Vice President of Human Resources, joined Kimco in 2008. Ms. Landro is responsible for the company’s human capital strategy and execution including employment planning and talent acquisition, executive and staff compensation programs and systems, employee benefit and wellness programs, organizational development and training, employee relations and recognition, and affirmative action program activities. Prior to joining Kimco, Ms. Landro held the top executive human resources positions at CMP Media LLC and Delta Financial Corporation. Ms. Landro holds a B.S. degree in accounting from NYIT and an MBA from Long Island University. Paul Westbrook is Vice President and Chief Accounting Officer of Kimco Realty Corporation. Mr. Westbrook’s responsibilities include overseeing the day-to-day accounting activities, financial reporting and SEC compliance. Mr. Westbrook joined Kimco in October 2002 as Director of Accounting, and prior to his current role was Vice President of Financial Reporting. Prior to joining Kimco, Mr. Westbrook was with the public accounting firm of PWC where he served as a Senior Manager in the firm’s New York Real Estate Assurance Practice. Mr. Westbrook is a Certified Public Accountant with a B.S. degree in Accounting from The State University of New York College at Old Westbury. Barbara E. Briamonte joined Kimco Realty Corporation in October 1998 and is currently Vice President of Legal. 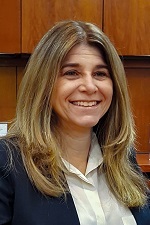 As a member of the legal department Ms. Briamonte supervises the department’s corporate legal group, coordinates the Company’s small-shop lease program and serves as Regional General Counsel for the Northern Region. Prior to joining Kimco, Ms. Briamonte was Assistant General Counsel to Corporate Property Investors. She also practiced law at the firm of Hofheimer Gartlir & Gross, LLP in New York City. Ms. Briamonte holds a B.A. degree in economics from the University of Michigan. She received her J.D. from Fordham University School of Law. David Domb is Vice President of Research. Mr. Domb is responsible for special projects on behalf of Kimco’s executive team, and oversees research and analysis, security valuations and the identification of new business initiatives for the company. Mr. Domb is also a Director for Blue Ridge Real Estate Company. Mr. Domb joined Kimco in 2006 as a financial analyst focusing on financial modeling and the evaluation of real estate funds. Prior to joining Kimco, Mr. Domb served as senior associate at a venture capital firm and as a financial analyst at Yellowstone Properties, an owner and manager of multi-family real estate. Mr. Domb has an undergraduate degree in law from the University of Basel in Switzerland, completed additional studies in law and economics, and is fluent in English, German and French. He is a member of the International Council of Shopping Centers (ICSC) and the North American Research Task Force. Paul Dooley is Vice President of real estate tax and insurance. In this role, Mr. Dooley analyzes and authorizes the payment of local real estate taxes. He initiates and negotiates tax assessment appeals in jurisdictions throughout the country and heads the administration of the insurance program and serves as president of Kimco’s captive insurance company. Prior to joining Kimco in 1997, Mr. Dooley worked in public sector administration and finance. Mr. Dooley holds a B.A. from St. Anselm College, a M.A. Degree from Syracuse University, Maxwell School of Citizenship and Public Affairs, and a J.D. from Suffolk University Law School. He is licensed to practice law in New York and Massachusetts. Scott Gerber is Vice President of Risk. Mr. Gerber is responsible for overseeing the financial underwriting and due diligence process for new acquisitions, periodic risk and underwriting reviews for development and redevelopment projects, and the management of risk assessment on key corporate strategies, including development and redevelopment initiatives. Mr. Gerber also oversees environmental due diligence, investigation, and remediation projects throughout the country. Previously, Mr. Gerber was Senior Real Estate Counsel and Regional General Counsel for Kimco's Northeast Region. 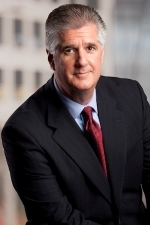 In this capacity, he provided counsel to the region on business and strategy for existing assets, future acquisitions and development and redevelopment projects, handled all legal aspects of retail leasing, acquisitions, and sales for the company's U.S. portfolio, and was responsible for managing and overseeing the company's team of lawyers and paralegals. Prior to joining Kimco in 1996, Mr. Gerber was an associate with a large Long Island commercial real estate firm. Mr. Gerber holds a B.A. degree in Communications and Business Administration from Muhlenberg College. He received his J.D. from Brooklyn Law School in 1993 and is a member of the New York State and American Bar Associations and is a licensed member of the New York and New Jersey Bars. Brett Klein, Vice President of Financial Planning & Analysis, is responsible for Kimco’s strategic and operational financial planning. Mr. Klein also oversees the company’s budgeting and forecasting process along with the compilation and reporting of operational metrics. Mr. Klein joined Kimco in 2010 with over 10 years of prior experience in senior finance roles within the manufacturing and mortgage industries. He received a B.S. degree in business economics from The State University of New York at Oneonta and holds an M.B.A. in Finance and Investments from Baruch College (City University of New York). Julio Ramon joined Kimco Realty in 2006 and currently serves as Vice President of Property Finance. Mr. Ramon is responsible for Kimco’s Property Finance and Operations as well as the organizational structure and staffing of the Accounting and Finance departments. Mr. Ramon has over 30 years of experience in the real estate industry. Prior to joining Kimco, he served as Director and Global Controller of Deutsche Bank’s Real Estate Private Equity business and as a Manager in the audit group of the public accounting firm Coopers & Lybrand, specializing in real estate. Mr. Ramon is a Certified Public Accountant with an M.B.A. in Finance from Hofstra University. Kathleen Thayer is Vice President, Corporate Accounting of Kimco Realty Corporation. Ms. Thayer’s responsibilities include overseeing the day-to-day property accounting activities, the contract administration department, the accounts payable department, internal and external financial reporting and SEC compliance. Ms. Thayer joined Kimco in June 2006 as an Accounting Manager, and prior to her current role was Director of Accounting. Prior to joining Kimco, Ms. Thayer spent seven years at the public accounting firm BDO Seidman, LLP (predecessor to BDO USA, LLP), where she served as a Manager in the audit group. Ms. Thayer is a Certified Public Accountant with a B.S. degree in Accounting from The State University of New York at Geneseo. Ms. Thayer is a member of National Association of Real Estate Investment Trusts (NAREIT), New York State Society of Certified Public Accountants (NYSSCPA) and the American Institute of CPAs (AICPA). Harvey G. Weinreb, Vice President of Tax, is responsible for Kimco’s overall tax strategy, tax structuring and tax regulatory compliance. Prior to joining Kimco, Mr. Weinreb was a Senior Managing Director in the Real Estate Solutions practice of FTI Consulting, Inc. (NYSE), providing tax consulting and compliance services to public and private REITs and real estate opportunity funds. He also served as Education Leader for FTI’s real estate practice. Before joining FTI, Mr. Weinreb was a Principal in the real estate practice of the accounting firm of Ernst & Young LLP, providing tax consulting and compliance services to publicly-traded REITs, private REITs, real partnerships and opportunity funds. Mr. Weinreb has spent more than 40 years in the real estate industry. Earlier in his career, Mr. Weinreb was a partner in a real estate investment firm and was Director of Taxation for Arlen Realty & Development Corporation (NYSE). Mr. Weinreb earned an M.B.A. in Taxation and B.B.A. in Accounting from Baruch College (City University of New York). He is a Certified Public Accountant and a member of the AICPA, NYS Society of CPAs, the National Association of Real Estate Investment Trusts (NAREIT) and the Real Estate Roundtable.